Your wedding day requires plenty of preparation, from choosing a caterer to the most important task of selecting your gown. Cosmetic treatments may also be part of your pre-wedding schedule, to correct and enhance areas that keep you from feeling less than your best on your special day. At Viora, we offer treatments designed with brides in mind, to address some of those common concerns that may interfere with your natural wedding glow, and guess what? There’s no downtime! There are few things more stressful than an acne breakout in the midst of your wedding preparations. Viora understands the importance of flaunting clear, beautiful skin underneath your veil and that is why we offer treatments that effectively keep acne breakouts at bay during this important time. Our Viora V-IPL hand piece can be used with either of our platforms to clear acne symptoms. The device features contact cooling and five different filters, which allows our IPL device to treat a wide range of skin types safely and effectively. It’s hard not to let the stress and worry that typically accompanies wedding planning to show up on your face when you finally make it to the big day. 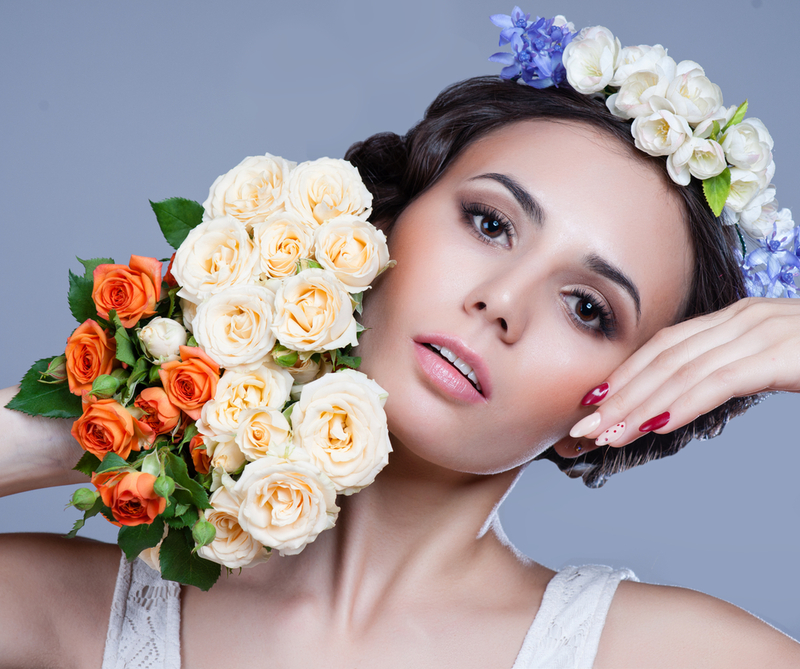 Give your skin a boost before you walk down the aisle with Viora’s Infusion treatment. This revolutionary device delivers high quality formulations beneath the skin’s surface without needles, discomfort or downtime. Choose different serum packages, whether you want to clear up an oily complexion, brighten dull and tired skin or turn back the clock on early signs of aging. As of now, that treatment is only available outside the USA. So for all you red, white and blue babies out there. We recommend V-IPL. Not only will it leave you looking all glowy and soft skinned, it helps pore size, and evens complexions by targeting fine lines and wrinkles, brown AND redness from your skin. Bye bye broken capillaries and sun spots, hello skin that’s as pristine as your veil. You may be able to hide stretch marks beneath your wedding gown, but what happens when you head out on your beach honeymoon after the ceremony? Forget worries over unsightly stretch marks with Viora’s ReFit, an innovative treatment that uses our proprietary radiofrequency technology known as CORE™. This non-invasive treatment delivers heat far beneath the skin’s surface to stimulate collagen production and give a smoother, firmer look to your skin. Vacuum therapy is also integrated into the technology to allow for deeper heat penetration and better results overall. This time of your life is so exciting and full of events you will remember for a lifetime through photographs and other beautiful mementos. Make sure you are ready to shine in front of your family and friends, as well as the cameras, with customized skin treatments designed just for you. To learn more about how Viora technologies can help you enhance your appearance, visit our website to find a physician offering Viora treatments in your area.